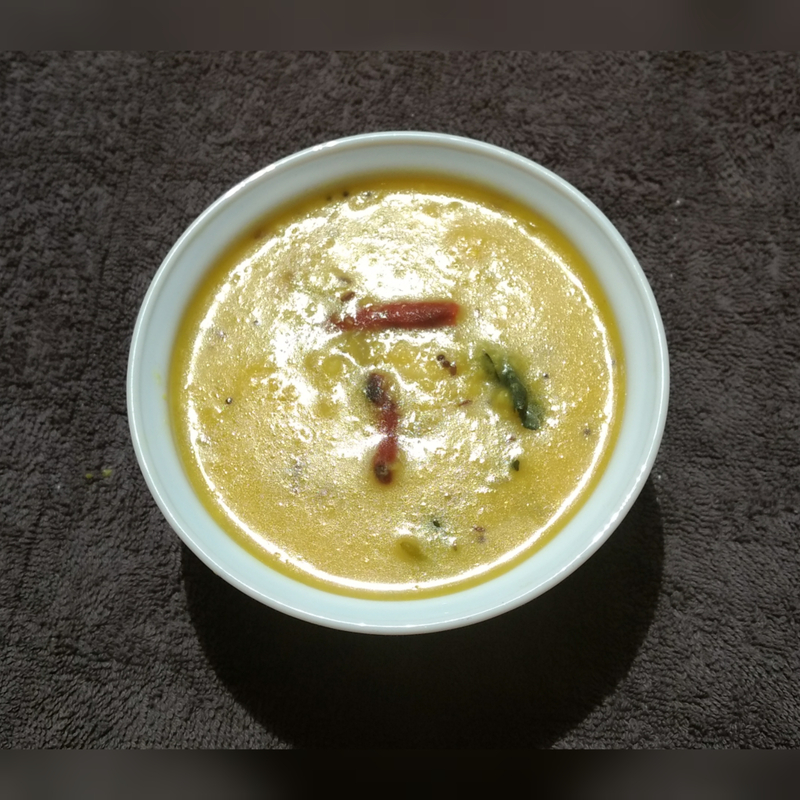 Moong dal rasam or pesarakattu is very tasty recipe. Pesarakattu is prepared with moong dal or pesara pappu. Here I am preparing this recipe in Andhra style. Pesarakattu is very popular in Andhra region and very easy to prepare. Moong dal rasam or pesarakattu is very lite food. Dal is rich source of proteins and nutrients. Especially​ moong dal is easily degistive lentil. So it is very good for children. Cook moong dal(pesara pappu) with onions and green chillies​. Later give tadka. Finally squeeze lemon for outstanding taste. And also this is secret of the recipe. When you taste this recipe, I am sure you and your family will prepare this recipe again and again. Wash moong dal or pesara pappu, and slice Onion and chilles. In a pressure cooker add moong dal, onions, green chillies , turmeric powder and 4 cups of water. Close with lid. Wait for 4 to 5 whistles and turn off the stove. When vapour completely goes out, open the lid and add salt. In a tadka pan, add some oil. Once oil becomes hot add crushed garlic and give a stir. Next add remaining tadka ingredients and stir for half minute. (Don’t burn the tadka). Now pour this tadka into cooked dal and squeeze lemon finally. Garnish with coriander leaves. 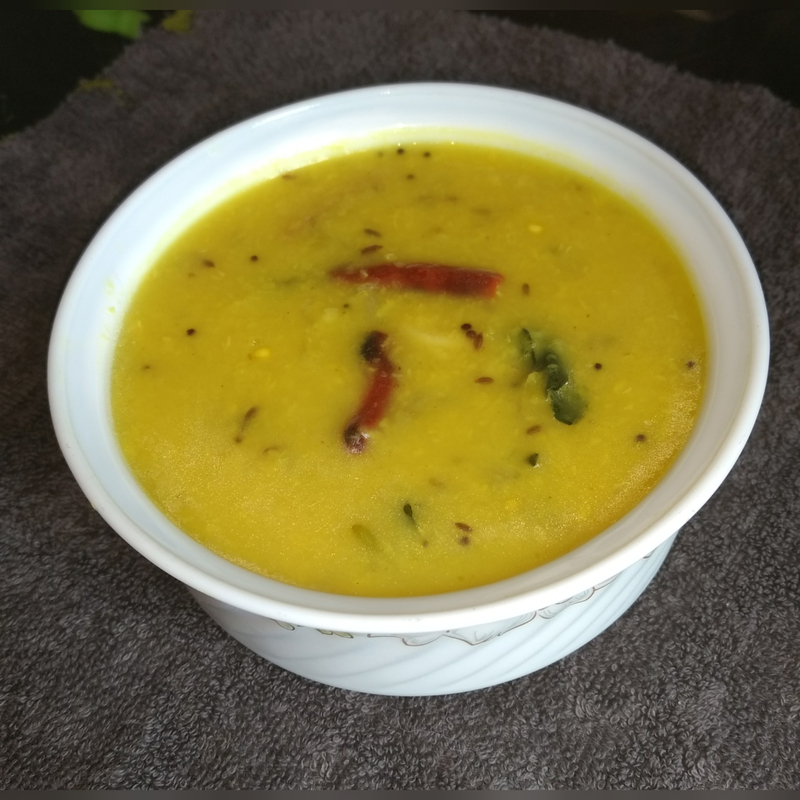 Tasty moong dal rasam or pesarakattu​ is ready to serve now. Serve with hot rice and enjoy.